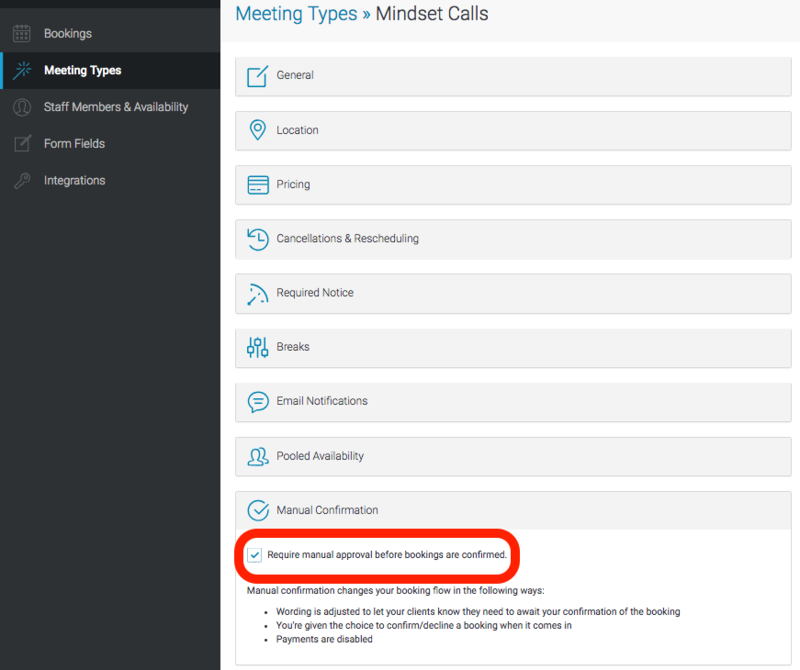 With certain Meeting Types you might want to manually verify that a booked time is going to work for you. Manual confirmation allows you to do this. 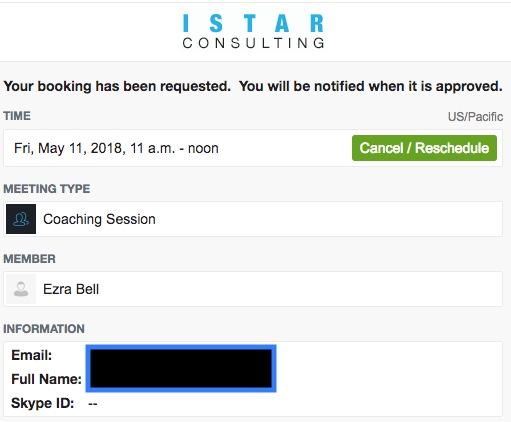 When activated, your customers will be told that they are requesting a time and to await your final approval before considering the booking confirmed. 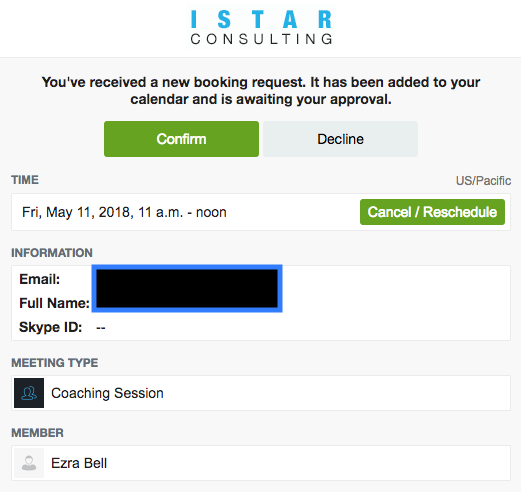 Here is a step-by-step guide on how to turn on manual confirmation for one or more of your Meeting Types. 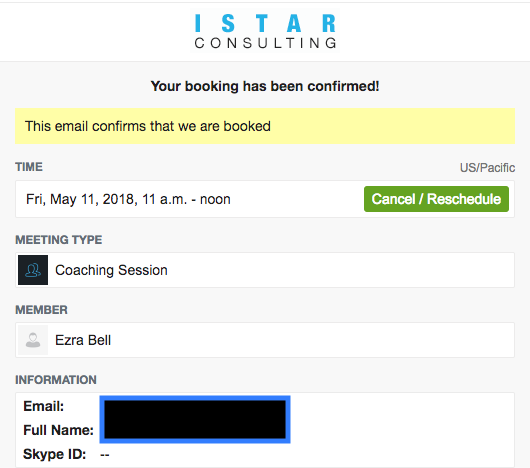 Once you have checked this box, you will and your client will receive a series of emails walking you through the confirmation process. 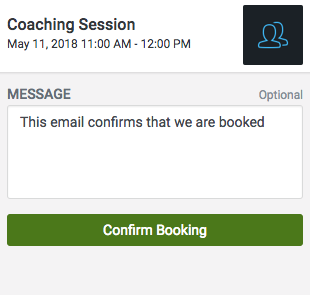 If you confirm the booking, you will be brought to this screen and prompted to write a short message to accompany the final email confirmation. Declined meetings operate in the same way.